Number of Unhealthy Air Quality Days in L.A. Metropolitan Area | Propel L.A. 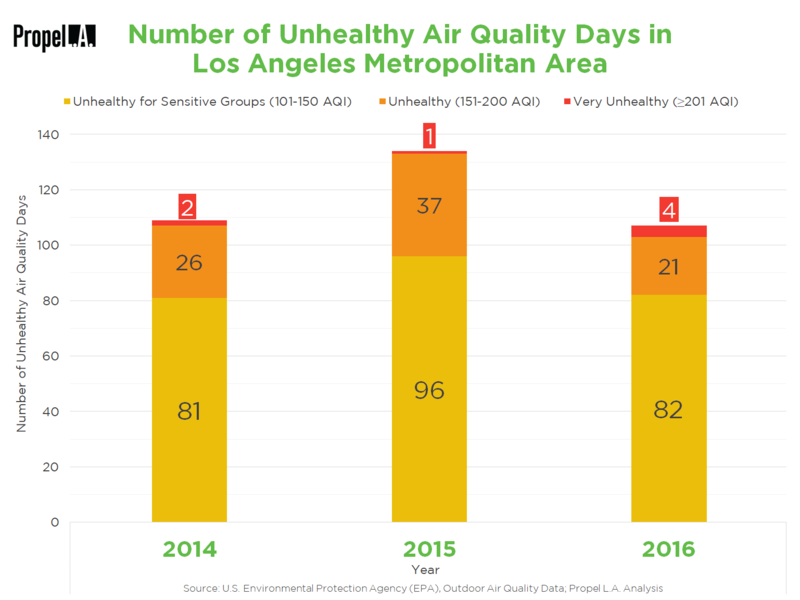 The number of unhealthy air quality days in the Los Angeles metropolitan area has remained high despite some variations across categories and years. The data suggests that the Los Angeles metropolitan area should implement more eco-friendly policies and practices to reduce the number of unhealthy air quality days overall.